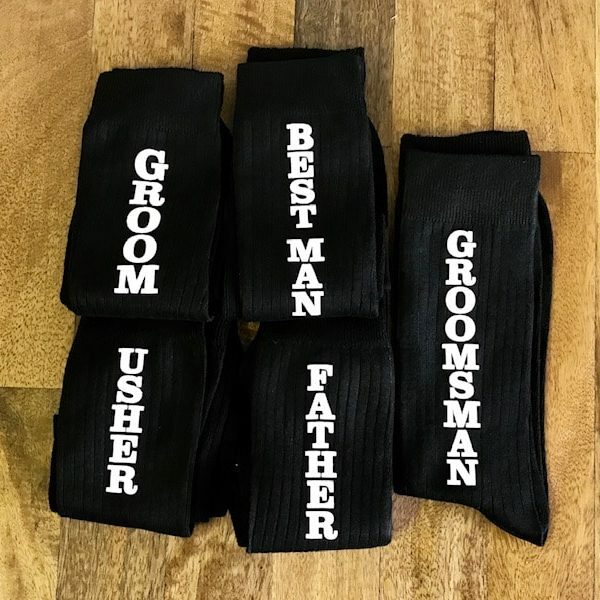 Take your wedding day sock game to the next level with our matching groom crew socks. 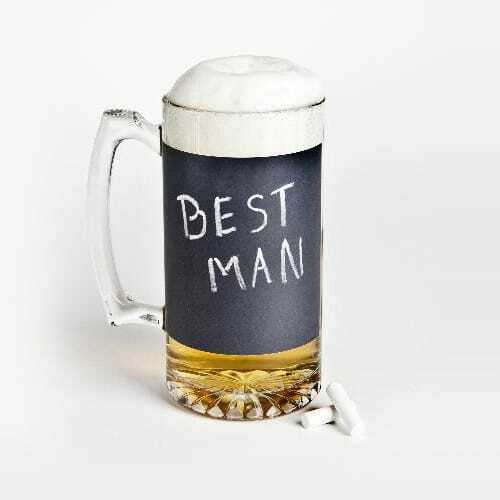 They’re perfect for wedding photos and comfortable enough to dance the night away in. 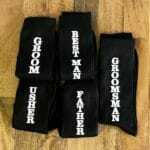 Groom, Best Man, Groomsman, Usher and Father styles are available. 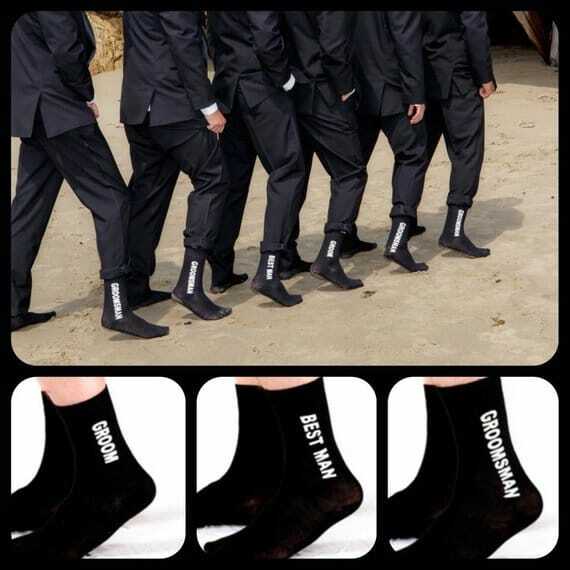 Searching for the best groomsmen sock ideas? Your hunt ends here! 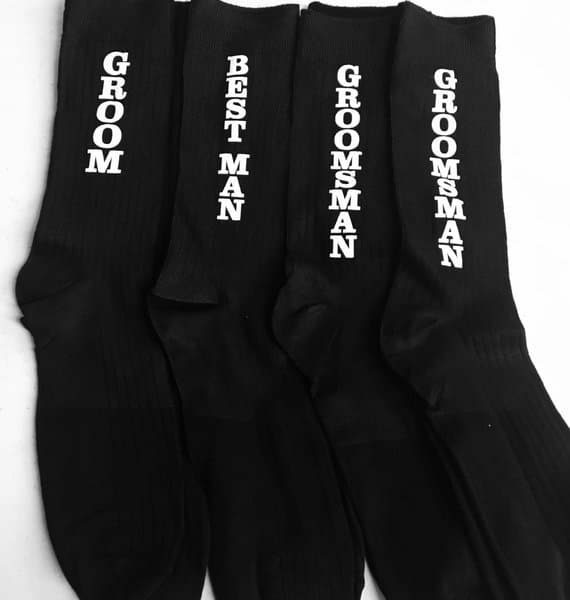 Take the wedding day sock game to the next level with our matching groom crew socks. 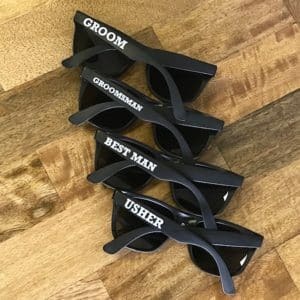 They’re the perfect compliment to the fellas’ wedding party attire. 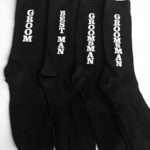 These black socks are a comfortable cotton-poly blend and will fit shoe sizes 7-13. 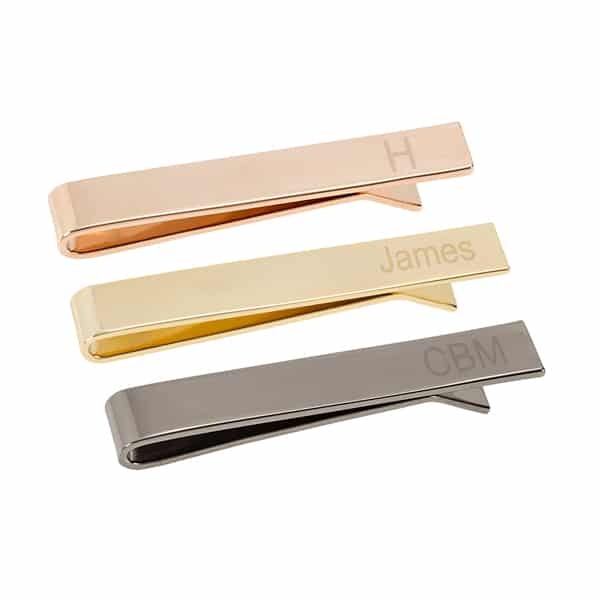 There are five styles to choose from (each monogrammed for a different wedding party role). One size fits shoe sizes 7-13.